If you made it to build or spent much time watching the videos one of the stories many heard from Microsoft revolved about creating HTML5/JS applications for the Windows Phone 8. Unfortunately the story confused a lot of people (at least by the questions I've been getting lately. Let me be clear...you *can* create HTML5/JS/CSS applications for Windows Phone 8. Yup. In fact, you could do it with Windows Phone 7 and 7.5. This is how PhoneGap works. The XAML page simply hosts a WebBrowser control and loads all of the assets locally in the XAP. What you can't do is create WinJS application. Let's step back a little and explain that better. 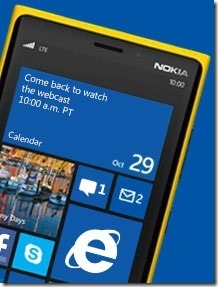 Windows 8 and Windows Phone 8 were both highly publicized releases this last week. One of the things that is not all that obvious to the casual observer is that the biggest change to Windows Phone 8 is that the underlying operating system now uses the same core as Windows RT (e.g. Windows 8 for ARM). In fact, the new phone SDK supports DirectX, C++ and creating WinRT components. All very cool. True be known, this is similar to the problem with XAML applications on the phone and in Windows 8. The stacks are very similar (and indeed you can share more code between Win8 and WinPhone8 XAML apps) but it's still building two apps. Of course, this shouldn't be a shock because the user interface between the two devices are pretty different. Much of that has to do with the fact that the devices are very different. The metaphors are different therefore even if you could run the same app, it would need to be different between the two devices. I love what Microsoft is doing with WinRT and Windows Phone 8, but I wish they wouldn't oversell some of it as it will just frustrate users once they learn the completely truth of the matter.